The Heroes of the Storm technical alpha entered its final phase at the end of September, but Blizzard are “not done yet”. They’ll make a localised client available to Chinese players this Friday, and plan to try out a “host of exciting new features” with their newly bolstered testers before beta. “The Heroes of the Storm technical alpha is moving into its final phase,” said game director Dustin Browder in a promo video. “I’m now letting you know that we’re ready to widen our testing to China, with a fully-localised client on the Chinese servers. 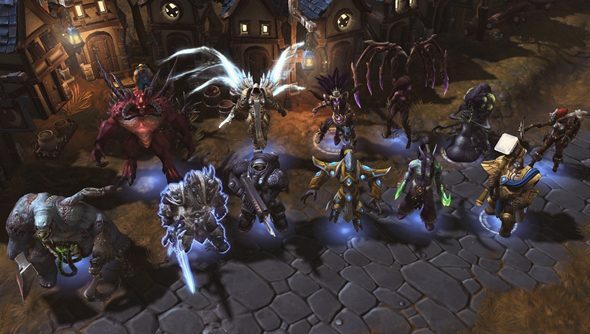 Last week, Blizzard slid custom games, observer mode and replays into Heroes of the Storm. The next set of alpha updates will introduce ranked play, a draft mode and improved social systems. Tim and Nick called the Heroes of the Storm alpha a “triumph”. Can any of you lot muster similar fanfare for Blizzard’s fan-service-fuelled MOBA?